Strawberries have the lowest calories per serving compared to other fruits and this snack is great to fill the void if you’re hungrier than usual—when fat burning is at its max. Choose fibre-rich foods when you notice increased hunger in between meals. In a small bowl, mix all of the ingredients. 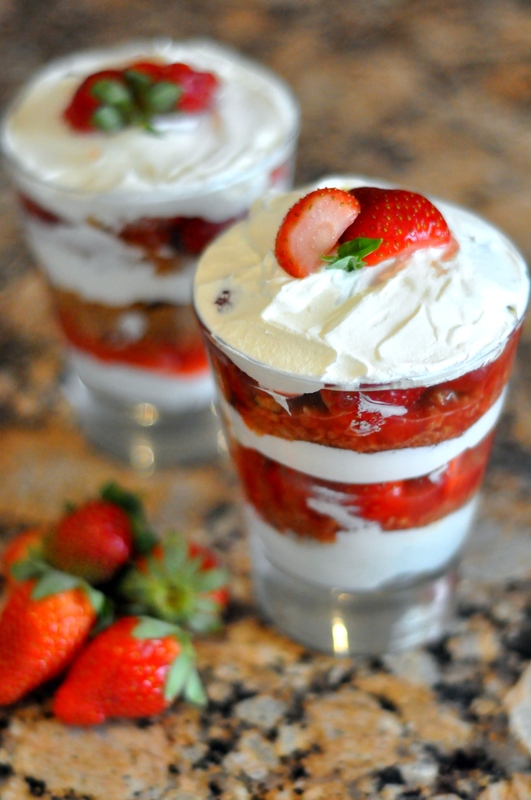 Or you can layer the bottom of a glass with the strawberries, then the next layer with the remaining ingredients and repeat, placing the remaining strawberries on top. Serve immediately or chill in freezer 15 minute before serving. Did You Know? It’s not that hard to lead a clean eating lifestyle. It’s like anything in life, if you want something bad enough you’ll do it, if you don’t you won’t. The key is knowing what to do.